The Lord of the Rings director's got something in his pocketses for the tale of Bilbo Baggins. 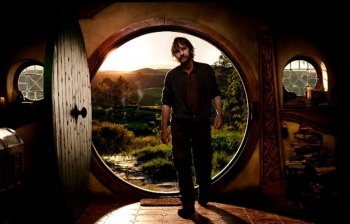 Peter Jackson, the director of the upcoming film adaptation of The Hobbit, has announced that the originally-planned pair of films are to become a trilogy in his take on the saga. "It is only at the end of a shoot that you finally get the chance to sit down and have a look at the film you have made," Jackson said in a Facebook note. "Recently [screenwriters] Fran, Phil and I did this when we watched for the first time an early cut of the first movie - and a large chunk of the second." The team was happy with the way the story was coming together, and believed that the best way forward was to extend the film and include as many of the tale's extended details as possible. Tom Bombadil had to be cut from the Lord of the Rings trilogy due to time constraints, and this is a situation Jackson apparently does not want to repeat with The Hobbit. He asserts that "much of the story of Bilbo Baggins, the Wizard Gandalf, the Dwarves of Erebor, the rise of the Necromancer, and the Battle of Dol Guldur will remain untold if we do not take this chance." The films could contain a fuller description of the rise and fall of Sauron prior to the events of The Hobbit, extending on the prologue from The Lord Of The Rings: The Fellowship of the Ring. Jackson is planning on drawing even more from the wealth of Professor Tolkien's extended writings, too. "The richness of the story of The Hobbit, as well as some of the related material in the appendices of The Lord of the Rings, allows us to tell the full story of the adventures of Bilbo Baggins," he said. The post ends with a simple quote from J.R.R. Tolkien, saying that as with the author's original saga surrounding the Ring, this will continue to be "a tale that grew in the telling." The first part of the Hobbit trilogy will appear in cinemas on December 14.